Think the Maldives is all honeymooners and overwater villas? Think again. These idyllic-looking island in the Indian Ocean offer more water-based activities and culture than you may have realised. 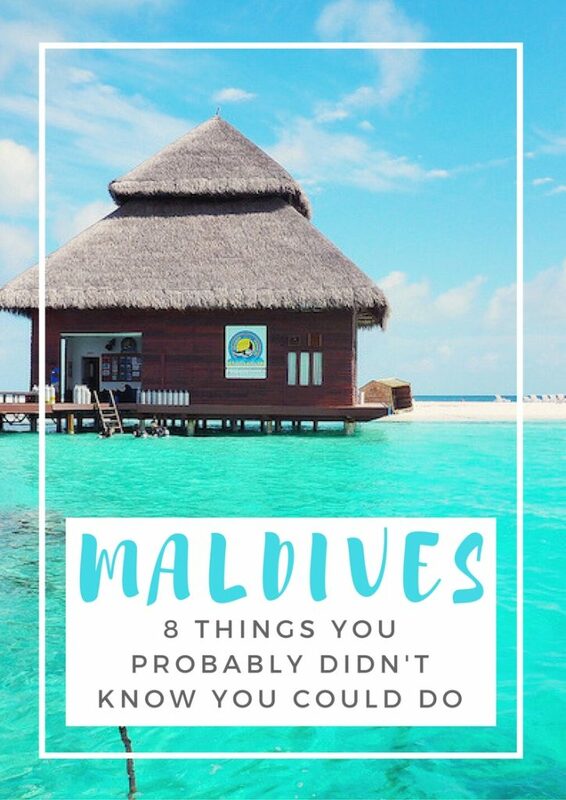 From semi-submarines to staying on local islands, here are 8 things you probably didn’t know you could do in the Maldives, including how to make a holiday here affordable. One of the biggest surprises from my recent visit to the Maldives is that it’s a hotspot for surfing. 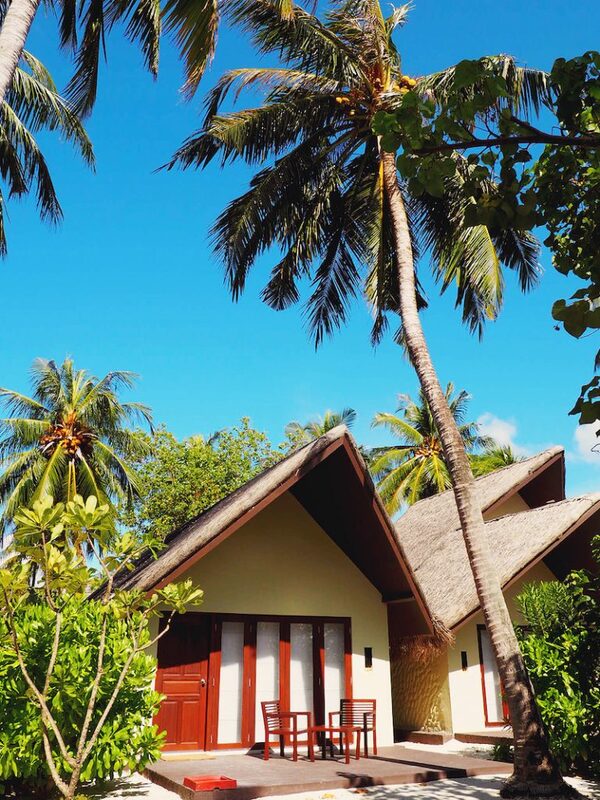 One of the resorts I stayed at, Adaaran Select HudhuranfushiI, offers a dedicated surf holiday package which includes rooms, meals and wifi within inches of the waves. Not all resorts come with direct access to the waves but will offer surf dhoni trips to the best breaks instead. Surfer Today has a helpful guide to the best surf spots in the Maldives. You may know that the Maldives has excellent diving and world-class spas but did you know you can do the two things together? I spotted an advert for luxury floating resort Scubaspa at the airport and am 100% sold on the concept. 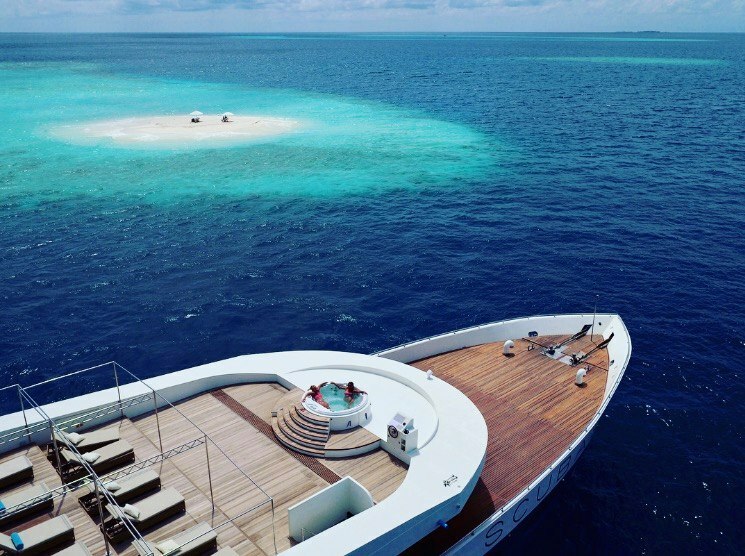 Who wouldn’t want to cruise the Maldives on a luxury yacht where dive equipment and daily massages are included? One of my fellow attendees at the World Travel Writers’ Conference Maldives stayed at Jumeirah Vittaveli and mentioned they have a semi-submarine service – how amazing is that? Even if you’re not a huge fan of open water you can still meet the magnificent Maldives marine life by taking a ride in the vessel, the bottom section of which floats 1.3 metres below the water. Speaking of underwater adventures, the Maldives is one of the only places in the world where you can dine underwater in several locations. 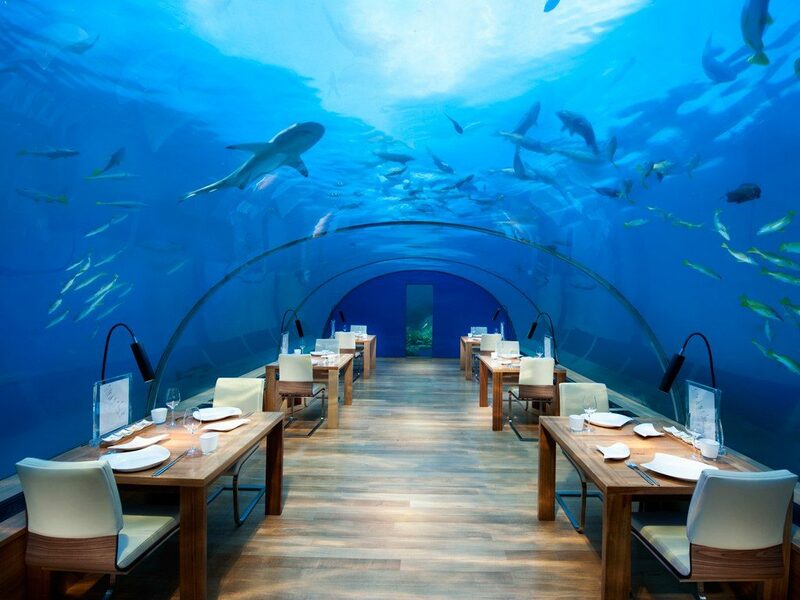 Ithaa Undersea Restaurant at Conrad Maldives Rangali Island hotel was the world’s first all-glass underwater restaurant. Found 16 feet below sea level it offers incredible 180 degree views of the Maldivian marine life to go with your caviar and lobster dinner. You can also enjoy underwater dining at Sea at Anantara Kihavah Villas, which uses mirrored ceilings to amplify the aqua views, and hit the dancefloor 20 feet below sea level at Subsix, a nightclub which is accessible only by boat from Niyama Private Island Resort. Although it may be difficult to tear yourself away from your resort, I can’t emphasis enough how much I enjoyed visiting the local Maldivian islands. You can feel like you’re in a bit of a resort bubble when you come to the Maldives as you’re whisked from airport to island with barely a chance to get your bearings. I loved discovering, therefore, that many resorts offer daytrips to their neighbouring islands where you can get a glimpse into daily life in the Maldives for locals who don’t work in the tourism industry. 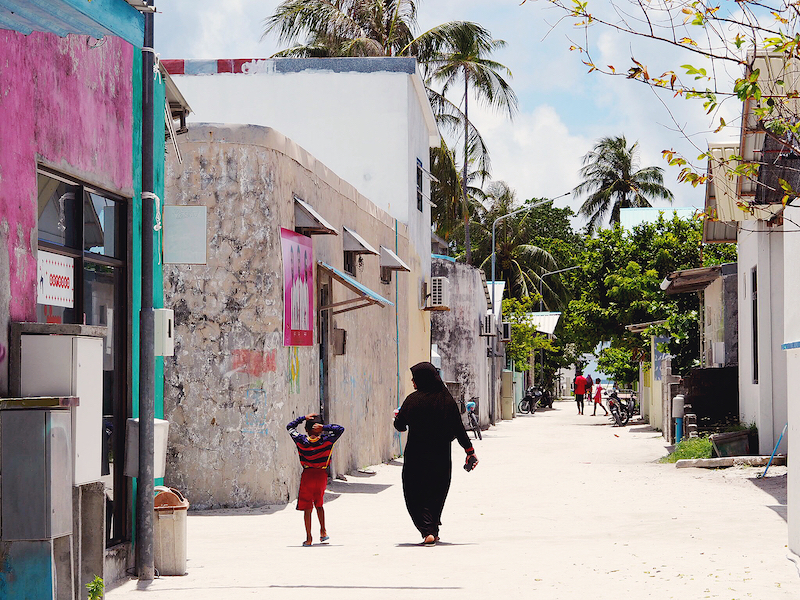 I visited Huraa Island on a weekend and the relaxed vibe as locals went about their shopping and gossiping was delightful. 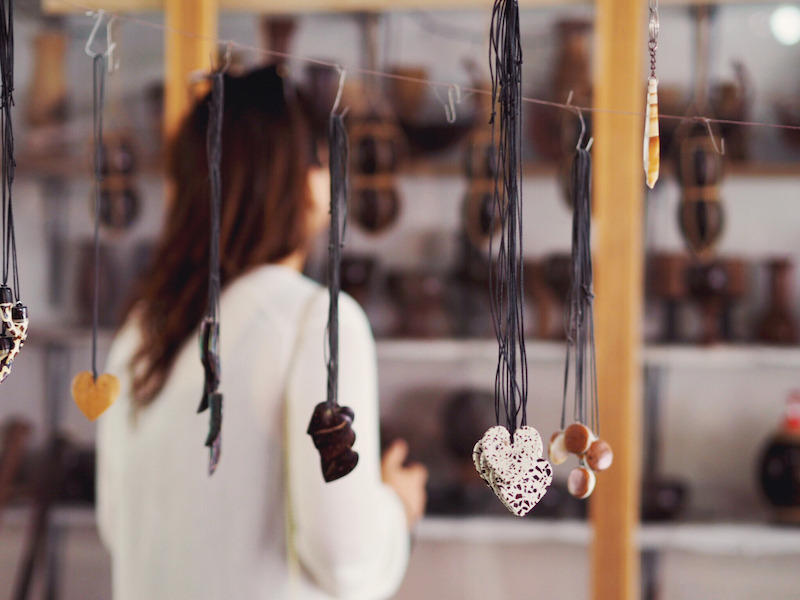 Tip: Take some cash with you as I wish I’d had some on me when we visited the workshop of a craftsmen who makes beautiful jewellery, plates and keepsakes from washed up shell and coral. Some of the local islands are beginning to welcome tourists and a range of guest houses, Air Bnb and even couch-surfing opportunities are now being listed for the Maldives. Not only is this is much more affordable way to see the Maldives but it’s undoubtedly more authentic. 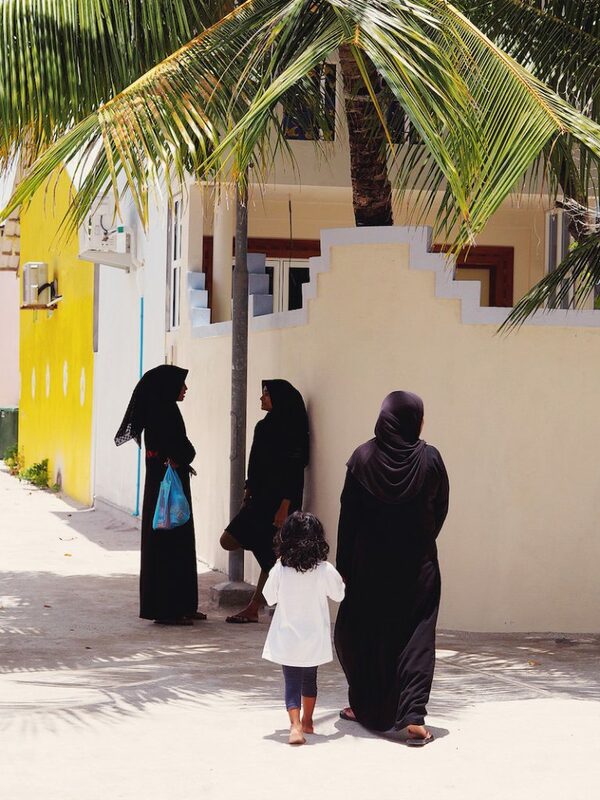 Just remember that the Maldives is a Muslim country and you are expected to dress conservatively in public areas. Research the level of tourist facilities – ie do they have a tourist beach where you can wear swimwear or restaurants serving alcohol – before arriving. Never Ending Footsteps has a great guide to travelling the Maldives on a budget which mentions several guest house experiences. If your departure or arrival at Male Airport doesn’t coincide with your resort’s seaplane transfers (they cannot fly after nightfall) then the Hotel Jen is the best transit hotel in Male. 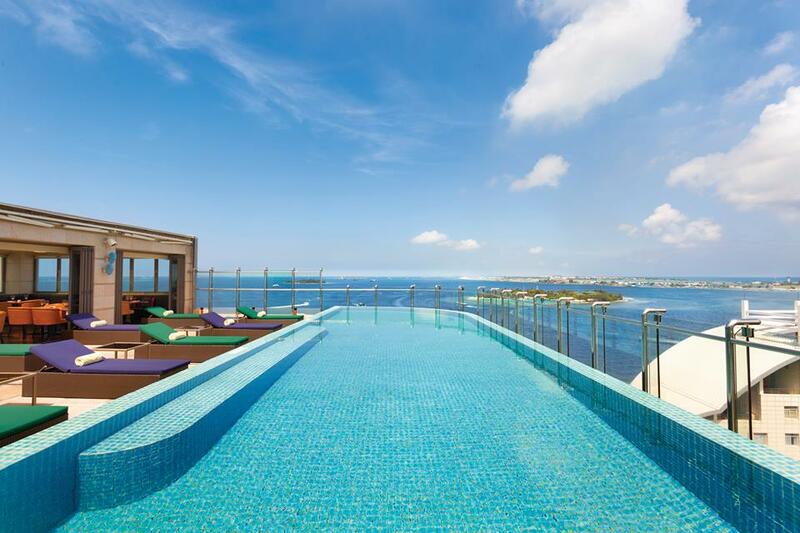 The stylish 4-star property, managed by the Shangri-La hotel group, has trendy rooms, a rooftop pool and a spa and fitness centre just 7-minutes by speedboat from Male Airport. 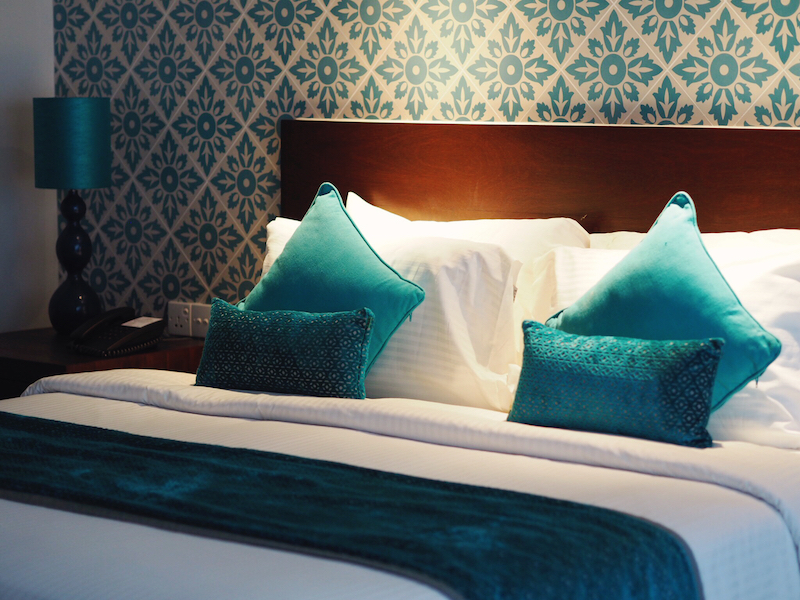 Even if you’re not waiting to catch a seaplane, Hotel Jen is a great base for exploring more of Male as they offer free guided walking tours and the bustling Fish Market, Sultan’s Park and the Old Friday Mosque are a short stroll away. Finally, one of the biggest misconception about the Maldives is that it’s massively expensive BUT it doesn’t have to be. While many associate Maldives with high-end overwater villas (which granted are phenomenal) there are many accommodation options across the islands including the gorgeous beach villas I stayed at in Adaaran Select Huduranfushi, which are priced around 500 AUD (£300) per night for 2 people ALL INCLUSIVE! With their recently renovated blue hues, outdoor showers and hammocks mere metres from the water, you get a luxury Maldives experience for less money than it looks. Garden rooms are slightly less at 434 AUD (£260) per night for 2 people all inclusive while at Adaaran Club Rannahli you can get a standard room for 320 AUD (£190) per night including breakfast – i.e. same price as some hotels in Sydney! A night here costs less than most hotels in Sydney! 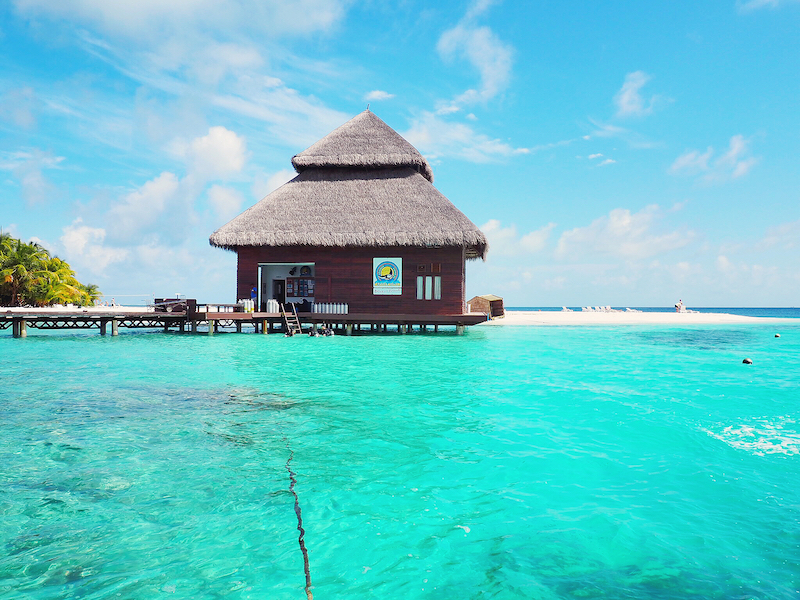 So one way to make your Maldives holiday more affordable might be to mix up your room types and spend some time on land as well as overwater. More tips for affordable luxury – including overwater villas that won’t break the bank – will be coming up shortly! *All prices quoted are from booking.com for stays in April 2018. Click here for Adaaran Club Rannahli and here for Adaaran Select Huduranfishi. Are you considering a holiday in the Maldives? Did any of this information surprise you? Thanks to Maldives TV for inviting me to speak at the first World Travels Writers’ Conference, Qatar Airways for flying me to Male and to Adaaran Resorts for hosting me during my trip. My travel was sponsored for the purpose of this conference but all content and opinions are my own, as always. 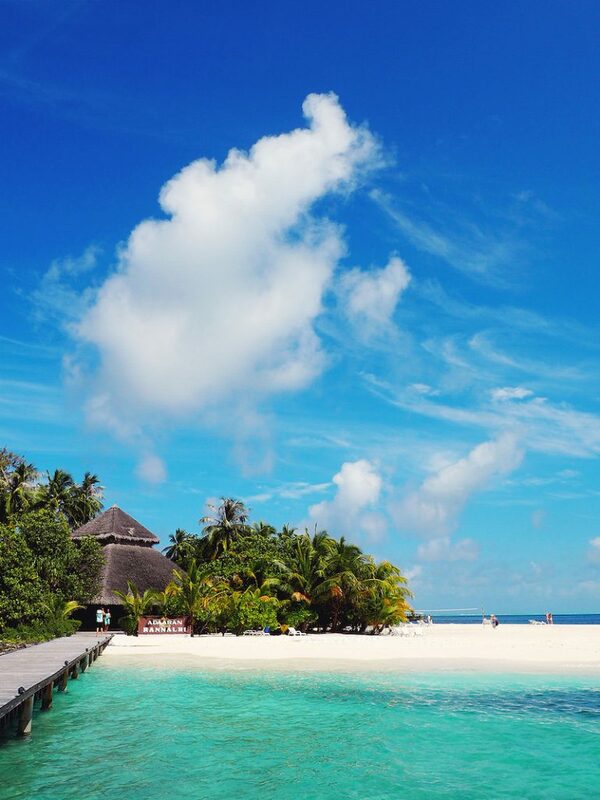 The Maldives look amazing! It’s my dream to one day visit, relax and look out at that gorgeous turquoise water. There is honestly nowhere quite like it!